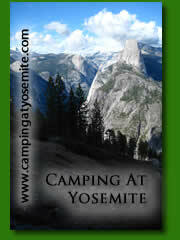 Above: The Point Campground is available only by a 3 mile boat trip. 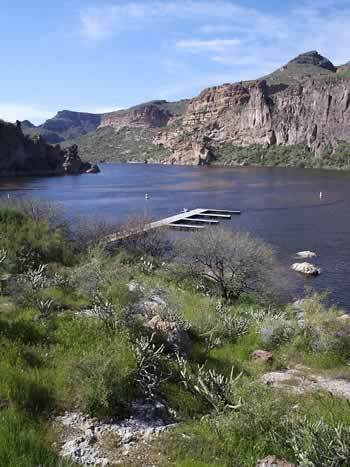 The Point Campground is accessible only by a three mile boat trip on Canyon Lake. Although there is no fee for using the campsite, there is a small fee of $2 per watercraft and $4 per vehicle per day at Canyon Lake. The Point has the only restroom facility on upper Canyon Lake. Canyon Lake has a full-service marina with boat rental, bait & tackle, emergency (911) phone, excursion boat, restaurant, snack bar, picnic supplies, ice, beach and lakeside picnicking. Glass containers are not allowed at Canyon Lake. Also, there is no trash service available, PACK IT IN, PACK IT OUT! Be careful with both boat fuel and any soap for cleaning dishes etc. soap is not allowed in the water! There is a boat sewage dump available at the marina. This site is 17 miles northeast of Apache Junction on Arizona State Hwy. 88, (historic “Apache Trail”). From Mesa, take US 60 to the Idaho Road exit go north on Idaho Road to State Hwy. 88 and turn right. After crossing the first bridge at the lake, watch for Palo Verde Recreation Site sign and turn left into that site. The entire route to the lake is paved with narrow, sharp curves, traffic is heavy. The last 3 miles are by boat. 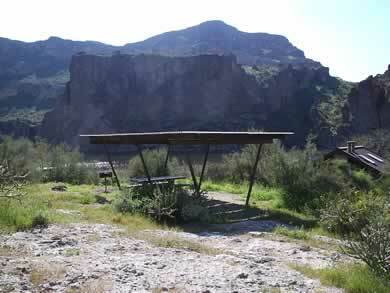 Above: The courtesy dock at The Point Campground.